As you can imagine, getting injured can deal a big financial blow. If you're unable to work because of your injuries, money will be an issue. That's because you'll either be earning little or no income while you're off work. You might also be wondering what options you have if you got injured through no fault of your own. The first thing you need to think about is whether you can make a personal injury claim. 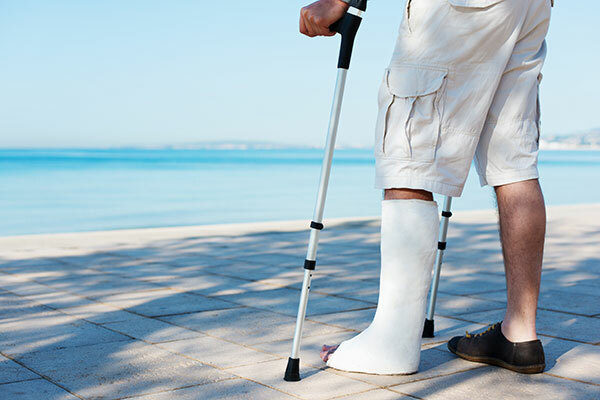 If your injury got caused by a third party, they might be liable for compensation. At work, you can claim compensation from your employer. If the injury occurred on public transport, you could claim from the provider. And if the accident happened in someone's building, they could be liable too. Of course, it's not always possible to make a claim due to the circumstances. It's worth talking to a personal injury lawyer for clarification. If you have a case, the compensation can help you out financially while you're off work. Your doctor may suggest that you have physical therapy. He or she may even tell you to carry out certain exercises to build up strength. Other times, all you can do is sit down and rest while your body heals itself. It's important to get the facts about your injuries and learn how you can get better. Don't assume anything; ask for the facts to make the right treatment choices. If it's possible to return to work when you're better, your financial situation isn't as dire. Still, that doesn't mean you can survive until then without paying for anything! As you can imagine, you'll have little to no income while you're recovering. That's why it is important to take steps to keep your costs down. Cancel any unnecessary expenses like TV and entertainment subscriptions, gym memberships and so forth. If you've got money saved up, it's time to start using that emergency fund. There will be some things you cannot cut down on such as mortgage payments and utility bills. You will need to find a way to make up your income shortfall. Drawing on your savings isn't something you'd be happy to do, of course. But, it means that you can still lead a comfortable lifestyle until you are ready to get back to work. Thank you for reading today’s article. I hope you have found it useful!